Maddock enjoys his duty on the Isle of Eight Lairds, but dreams of more. 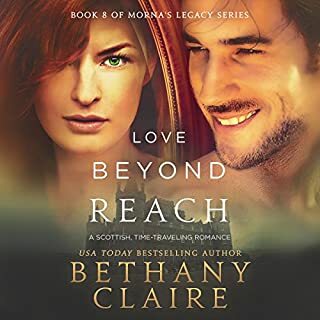 After seeing his friend find love, he opens his heart to the belief that perhaps there is a lass out there for him, as well. When he meets Kate, the bonny sister of one of his dearest friends, he falls for her hard and fast. But she doesn't make it easy for him. Her own fears keep her distant. No matter how much he opens himself up to her, she struggles to do the same. My love for the book has reached new heights! 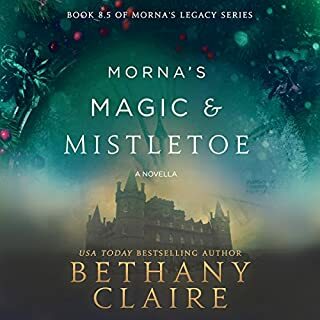 The book had already become my new favorite in the Morna’s Legacy series after I read it. I didn’t think I could love it anymore until I listened to it on Audible. I won’t say anything in this review that will reveal any of the plot for the benefit of those who may not have read the book. But there were parts of the story that when I heard them just really made the scenes come to life for me. Whether you’ve read the book or not I highly encourage you to listen to this Audible version. I think what I enjoy most is that unlike while reading the book where you must focus on the words, when listening to the Audible version you can totally get lost in the book… you can close your eyes ... you can wrap your arms around yourself ... you can snuggle up with a pillow ... you can free your hands and free your mind and let the story take over! 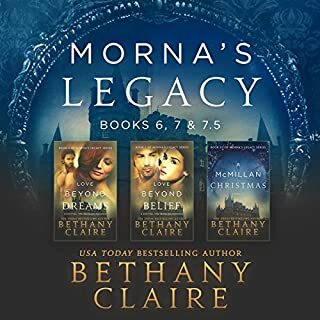 Another amazing book in Morna's Legacy Series!!! I enjoyed the romance between Kate and Maddock!!! Bethany Claire never disappoints!!! I look forward to her next book!!! Read and enjoy!!! Even if you read the book, listening also adds to your enjoyment. the second time through, you pick up little things you may have missed while reading. also, what better way to spend your time while on the road. I truly enjoyed listening to this book!! It was fun as is any story with Morna involved. But it also contained a gritty element as Kate tried to deal with the baggage of her past and her accident. Maddock sees more than her angry demeanor. And determined he is the man to get the job done. And that job is to win her heart. 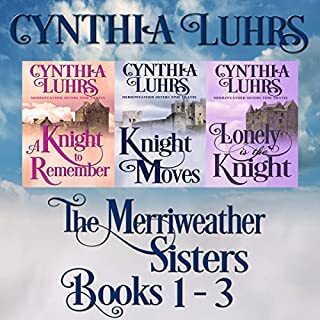 I love this story line, the Isle of the Eight Lairds stories have time travel, romance, and 3 kinds of magic! Kate is another strong woman and I love how her story is intertwined with her sister and the others from the Isle of Eight Lairds along with some previous story characters. 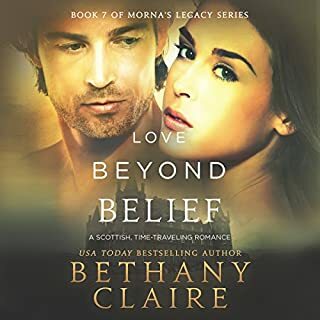 One of the greatest things about Bethany Claire's books are that although they are part of a series they are all truly stand alone. But I will warn you, if you pick up one -- you will want to hear or read the rest of them!! Exciting story, beginning to end. Loved the story, love the series I love how characters flow from book to book. The story grabs you right from the beginning. I love the imagery created by the author. Can't wait for the next one to come out! Kate was burned badly in a fire and had to have one arm amputated. Kate has done research on books about Scotland in the time that her sister, Laurel, time traveled to in the previous book. Kate has determined that she is meant to be in the same time as her sister to help defeat Machara. After Kate is in Scotland, she meets Maddock. Maddock falls in love but the road isn't easy since Kate has emotional problems from the fire. As Kate realizes that she's one of the reasons that Machara can be defeated, she becomes stronger and overcomes some of her problems. I love the progression of Kate's belief in herself. 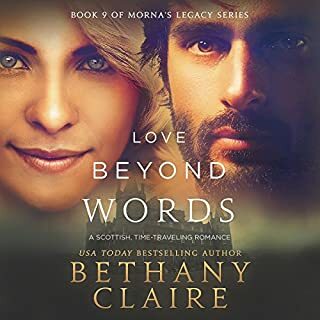 Bethany Claire always writes great story lines and this is definitely the best so far. I can't wait for the next one. Lily Collingwood really brings the story to life with her narration.